Less than 100 GOLF GUIDES left! There isn’t a better deal around, only $6.60 per round of golf! Perfect for any avid golfer or a great gift for the golfer in your life. 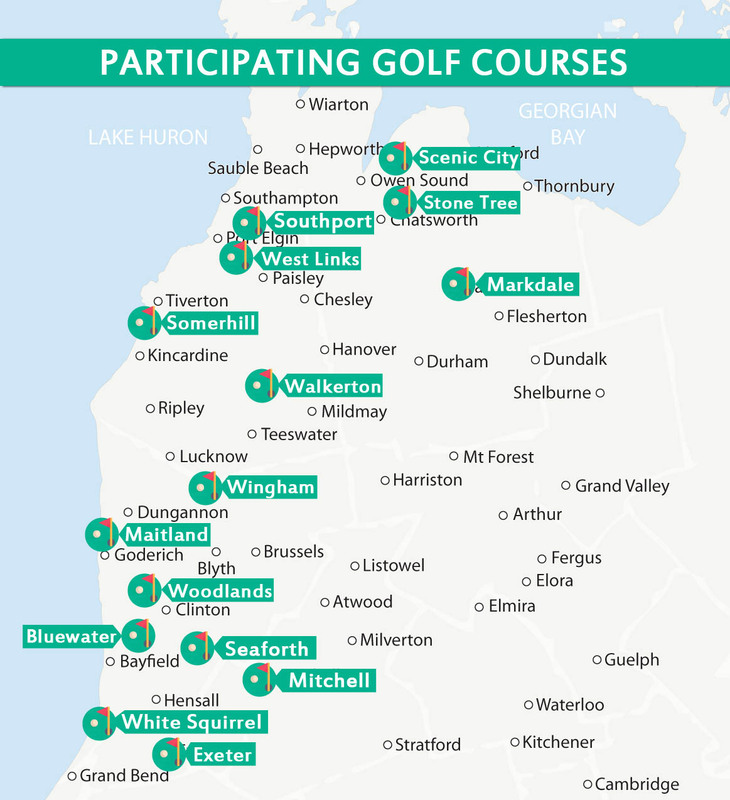 Offering golfers the opportunity to play 15 ROUNDS OF GOLF at the following Golf Courses for only $99+HST in 2019 (cart not included). The Golf Guide contains 15 coupons for 18 holes of Golf, one coupon for each participating golf course. Valid 7 days a week after 1 pm. Call to book a tee time and reserve a golf cart. Give them your golf book number at the time of booking. Not valid during tournaments or leagues. Name of the intended golfer will be printed on the Golf Guide upon purchase. This book is valid for intended golfer only. Rainchecks won’t be given once the page is redeemed. Golfers must book a tee time in advance. Courses may ask for valid ID when presenting the Guide. Golf Guide or pages won’t be replaced if lost/stolen. Coupons are only valid for the courses 2019 golf season. Limit one Golf Guide purchased per golfer. Page must be presented intact and inside the Golf Guide for redemption. Taking pages out of the golf guide will void your golf round. There are only 500 books printed, so don’t delay!